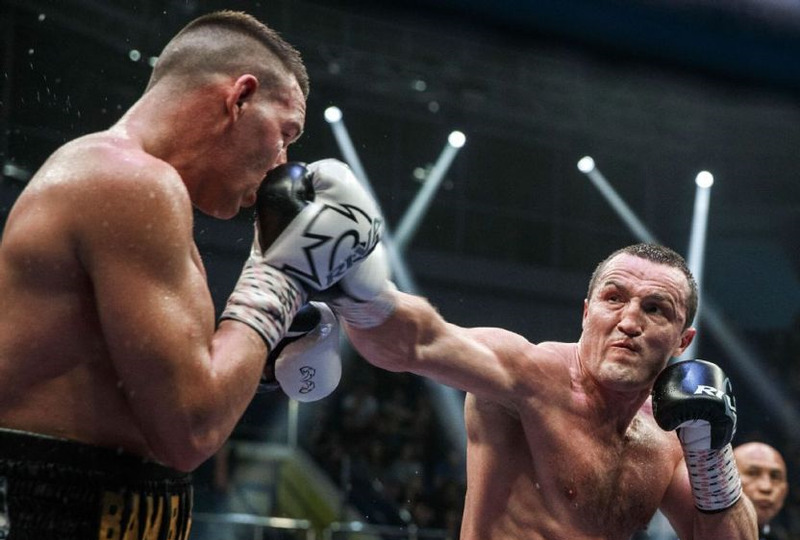 Lebedev retained the WBA super title at 200 lbs on scores of 120-107 and 119-108 twice. 117-110, 116-111 and 116-114. WBC Silver title. 97-93 and 95-94 for Malikov and 95-94 for Kaneko. 77-75 twice for Urvanov and 77-75 for Miura. Ichikawa floored twice. WBO Youth 135. Halasz was floored three times in the first. WBO Oriental title. 76-74, 77-73 and 76-74. Both floored, Sharonov in the 2nd and Papayan in the 5th. Dryuchkin floored and later in the round stopped. Suspended 4 weeks. 40-35 twice and 39-36. Ramziev down in the second. Khamikoev was floored twice in the third. Mino was floored twice and lost on scores of 99-88, 100-87 and 100-97. IBO Int´l title. Cetinkaya was floored five times during the fight and was too small and weak for Pianeta. IBO Int´l title at stake in this one as well. Bauer retained the IBF Youth title on scores of 96-92 on all cards but was down in the 8th and rocked in the early rounds. 96-94 and 97-93 for Mann and 95-95 after a tough fight where many felt Harth had done enough to win. WBO female superfeatherweight title - Gontaruk was overweight so title only at stake for Kühne. Wesner retained the WBFed female lightweight title on scores of 99-90 and 98-91 twice. Clear win for Nielsen but poor performance. 79-72, 78-73 twice. 4x3: sf: Diego Valtierra, Spa KO 3 Robin Deakin, Uk/License? Deakin sat the count out and the towel came in from the corner. 39-37 twice Erkhow and 39-37 Guerin. 40-35 on all cards. Tamadaev was down in the first. WBO I/C 135 lb title, Malinga down twice and it was stopped the second time. vacant WBO Youth 154 lb title, scored 98-92 twice and 97-93. Ashurov was down in the first, twice in the second and rescued early in the third. Toziboev down in the 4th. Kalnars down in the first and second and later stopped.